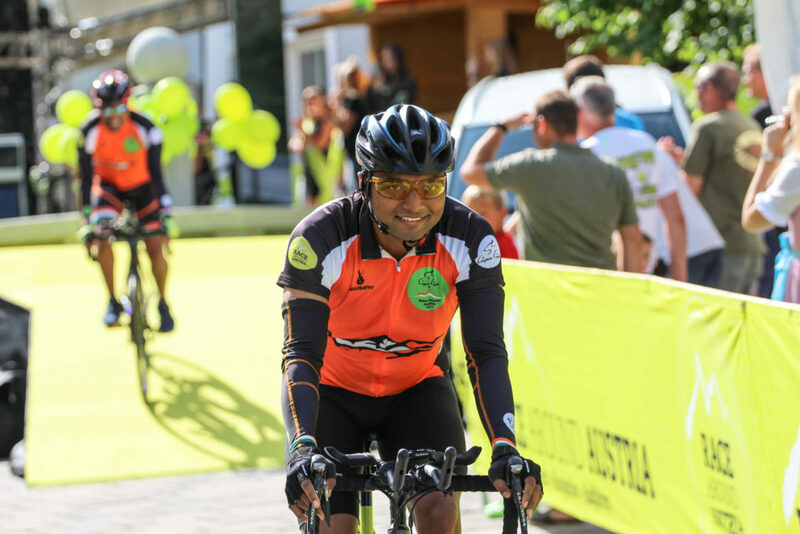 Recently, two Indians raced around the mighty terrain of Austria and finished one of the toughtest endurance cycling race. 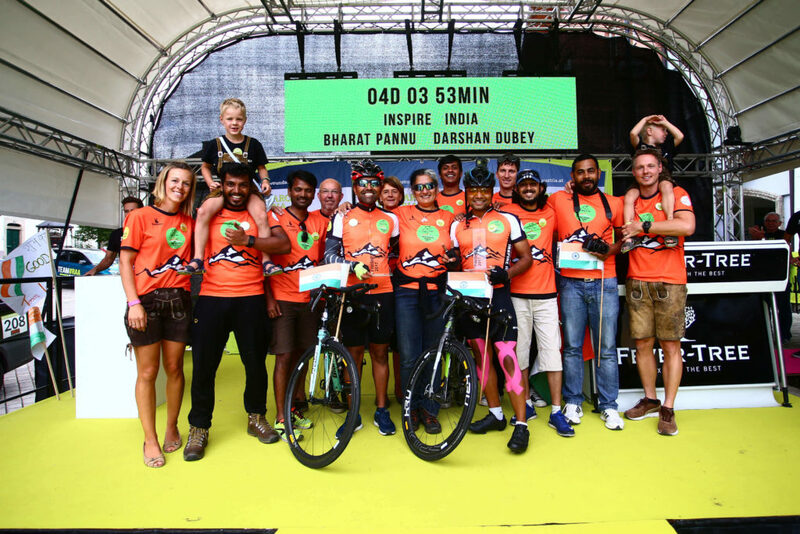 Riding under the label, team inspire India, Bharat Pannu and Darshan Dubey, finished the 2200km race in the two-person relay category. Below is the second part of the interview. Click here to read Part One. Our next major challenge was to manage a complete crew who was experienced, was passionately involved in our objective and was able to assist us with the balance of tasks. The added difficulties in selection of the crew members were the peculiar issues which are distinct to Race Around Austria. The experience of our own Nashik Cyclist Mr. Ammar Miyaji was very helpful at this stage. He shared his experience of facing language barrier (local language is German) and navigation of the route along the border of Austria. Keeping all these factors in our mind, we decided to have a total of six crew members which included four crew members from India and two crew members from Europe who were conversant with German language. After a lot of brainstorming, we decided to approach Divya Tate to be our crew chief. We took this decision as she is well versed with the format of international races and has the experience of being the crew member with Ammar Miyaji in the previous year. We also got permission from her to participate in Race Around Austria under the banner of Inspire India as TEAM INSPIRE INDIA. With her support, we were able to find Chaitanya Velhal and Monish Deshmukh as our crew members. Monish Deshmukh, who himself is a cyclist and has crewed for Chaitanya Velhal in Desert 500 and Deccan Cliffhanger races. Sanjay Mokal from Nashik was the next addition to the crew to shoulder the responsibility of bike maintenance. He is a SHIMANO certified bike mechanic who is presently employed with Ridley Bikes in India and is responsible for training bike mechanics. At this juncture, crew from India was complete with four members in it. Now the search for rest of the crew members from Europe began. We started reaching out to locals as well as Indian settled there who themselves are into cycling. Our search led us to wonderful crew members in form of Vamseedhar Bezawada (Hyderabad Randonneur who has spent time in Germany and is comfortable in speaking German), Rutwik Mulay (student in Munich who hails from Ahmednagar and has been a National skating champion in India) and Daniel Schneider (Austrian cyclist who plans to race at RAA, lives right on the RAA course and is familiar with the terrain). We also found wonderful friends in form of Hannes Moshammer and his family from St Georgen, who were a big support during the entire course of the race. The Moshammer family not only took great trouble to help with all the planning and preparations before the race but came far out onto the race route on 03 days of the race to ride with us and cheer us on the route. During the stay of 15 days in Austria, we ourselves became the part of Moshammer family. The complete Team Inspire India is deeply grateful to them for the love and encouragement we got from them and many others in this lovely country. How did you go about managing the finances? Financial Management was a big challenge itself as any delayed decision was costing us more for the same thing. As the decision to go for the race got finalised in March 2017, we availed the early bird registration for the event. We consulted our friends and other riders to decide upon the options for flight, vehicle, and accommodation. With our crew getting finalized by second week of April, we did the flight bookings, rented the vehicles and booking of the apartment through AirBnb. The swift action in April helped us in saving a lot of money as the month of August is the main tourist season for them. We had hired a motorhome so that the crew members can rest on the move and we can save on the cost of hotel booking during the race. The support from our sponsors was mainly in kind such as nutrition by Fast and Up, apparels by Triumph Sportswear, discount on wheels by KRU Cycling, bike spares by Luthra Agencies (Nashik) and financial aid from UdChalo. Tell us something about your nutrition? Nutrition is one of the most important aspects and we needed to keep ourselves fit for the event by building up the strength and stamina which is a prerequisite for an event of this stature. We both being vegetarian, it was a bit difficult for our coach to plan our diet. The stress was on the healthy diet in our meals. Coffee, tea, and cold drinks were restricted as a part of decaffeinating our body. We relied on Fast and Up nutrition support for the electrolytes, Vitamin C tablets, and protein supplements. Special moment during the race ? I can recollect two instances which come to my mind. It was the evening at around 0745 pm of the second day of the race, we were on the outskirts of the Halbenrain city when the weather suddenly turned ruthless and a sudden gust of storm followed by heavy rain forced the rider to take shelter inside the pace vehicle. It was only after 35 minutes when the storm subsided, we could restart the race by slowly pedaling through the road filled with broken branches and leaves. Even the fire brigade of Halbenrain city was activated to clear the broken trees/branches which were disrupting the movement of traffic. As I was riding after the involuntary break from the race, the momentum was lost and still the heavy rain was not allowing me to pick up the pace. We were losing on to the precious time, which could have resulted in us not making good in our target time. At that moment, our Austrian friend Hannes Moshammer who stays at the start point of the race came to support us by riding along with us. The small ride with Hannes in that dark night, pumped up our spirits again and the josh was back in the team to move at good speeds despite the continuous rains. This storm along with the heavy rains broke the willpower of many solo as well as team riders, who called off their race on the second night itself. We thank God for giving us the strength to continue and sending an angel in form of Hannes Moshammer to revive our hidden spirits. At the second instance, my heart beat went down when I was climbing Grossglockner peak and the person-in-charge at Toll Plaza stopped me from proceeding ahead. He claimed that it is snowing on top and the visibility is very poor due to thick fog. But, as it was a race and time was ticking ahead, we decided to keep moving despite the bad weather. The bad weather by now was giving us more strength to fight back and move on. Any suggestions for cyclists in India looking to attempt RAA? We should explore our hidden strength by participating in the competitive segments of ultra-cycling. Before attempting any competitive race on any foreign soil, it is always better to participate in a similar race in India. The Ultra Spice Race is a good option to race in our country. The race route offers varied terrain with good elevation gain, helping us to challenge our limits and in turn preparing us for the international events. RAA offers a tough challenge for the racers as they have to summit nine major peaks in the mighty Alps. The rider has to be mentally prepared to keep on moving through the mountains without letting the fatigue taking over his mental faculty. The finances involved in any of the ultra-racing are high but can be managed in shoestring budget as well. It is a bit difficult to manage sponsors, but not impossible. Your passion for the sport and hard work to train will never go unnoticed.